Marin is relatively easy to use. I think the Marin One platform is great as it does give more insight to the campaign and can also pull in reporting that wasn't available before. It's very difficult to launch campaigns in Google AdWords or Bingads when they're not compatible in Marin. Our clients want to run certain tactics, but we aren't able to because of incompatibility and all of our tracking is being run through Marin. They try to provide work arounds, but those don't always work. Look at what needs you have for your campaigns. If you're looking to use a AdWords/Bing Betas, it takes some time for Marin to catch up in terms of compatibility. We are using Marin to manage our search campaigns as well as tracking data. The benefits of that is they can either track actions through an FTP that is sent to our 3rd party tracking platform for the business or through tags. "An effective way to manage search campaigns"
Marin is very customizable. It's easy to filter for exactly the metrics you care about seeing. I enjoy being able to compare campaigns and keywords from different engines side by side. Also, being able to assign keywords with dimensions in bulk really speeds up what can sometimes be a tedious process. On top of all this, we've received high quality assistance from our dedicated support team with any issues that arise during the day-to-day use of the platform. This is quite useful when it comes to tracking and some of the more complex aspects of account management. Tracking templates and URL builders can be difficult to set up initially, but once they are they function as desired. It would be extremely useful if the graphs responded to whatever filters were in place. Also, the delta and percent delta columns are helpful for comparison, but when generating a report it would be more convenient if puling metrics for two specific time ranges was an option. If you manage complex accounts with many campaigns across multiple advertising platforms, Marin will help you wrangle everything. With Marin, keyword bid management for enterprise paid search accounts is made so much easier than it would be if we were managing only through the search engine ad platforms. With MarinOne, we’ve fixed the graph issue you mentioned. You can also chart two different time ranges. We’d love to hear any other suggestions you have—please create a feature request and it'll get passed along on to the team. "MarinOne Provides A Fresher Interface"
Marin provides an effective bid management system which still outperforms the tools provided by google and bing. The new interface builds upon the existing platform by providing a better UI allowing you to find features easier, and notably it is far more visually appealing. It's good, but perhaps trial other bidding methods available by Google first to see if they work. If not, Marin should be your go-to as it has proven reliable with both small scale and large spending campaigns. Marin helps with the daily bid management of our paid media accounts, it currently provides more effective bidding than the automated bid strategies provided by Google and Bing. Therefore the main benefit from using Marin would be the improved profits for our accounts. Marin optimises our bids all the time, meaning that even when we are not in the office our search bids are attracting conversions at the best possible CPA. We have also seen significant improvements in revenue, and decreases in spend in comparison to using Googles bidding strategies. Although it is very useful, it can be quite difficult to learn without instruction. Luckily however there are webinars you can view to learn the various features - and ultimately a Marin specialist badge upon completion of the training. The pros continue to stack up, and in cases such as ours where paid marketing is used a lot, it is a sound investment to use Marin - we would not consider going back after beginning to use it. Allows us to optimise bids without being in the office, for example when on holiday or busy working on other paid media elements. We have realised that Marin bidding software is more effective for us as achieving a better ROAS than adwords bidding strategies. "Great basics, mediocre bells and whistles"
Transparency of bidding, customer service is middle of the road, but usually quite responsive. Layout is not always intuitive, customer service hours very limited (I would particularly like to be able to push bidding folders in off hours when there are updates made). Make sure you're fulling integrated to all platforms seamlessly, including ease of tracking (Amazon, social, search engines). Make tracking more user friendly (make it viewable). Have availability to push folders when no customer service is available. Make LABELS available - seriously. The fact that you all strip out labels make it super inconvenient for us to do automated copy flips in the search engine UI. "Complete Control over several accounts"
The ability to easily manage several of my clients search accounts and their campaigns across multiple channels. The reporting for search can be done quickly and with several options and variations. The ease of the display advertising has been very beneficial. The beginning learning curve. I feel most of the tutorials and initial start up gear toward reporting and should be geared towards setting up the accounts. A little more direct help from Marin would make the start easier. The display reporting can be improved. I work in small market and can use Marin to help smaller accounts achieve results. Then once we have set-up the accounts the reporting is great. I am also able to handle several small accounts at once maximizing my time. "Great Customer Service with a Bright Future"
The customer service and client managers are top notch. Extremely responsive, always friendly. We've been a Marin customer since January 2014 which is over four years now. They value our input, and allow us to bean influence on their platform. The old platform is outdated, but the new platform in beta is amazing though it is taking very long to produce. Client-facing reporting is lacking, but hopeful for the future platform. While Marin is currently still using the same platform from four years ago, their new platform to be released in 2018 will be an amazing transformation for the company. We are solving the ability to govern, monitor, and manage multiple PPC accounts across multiple search engines. We are also utilizing their parameter builder to mass-manage tracking for our internal analytics systems. "Marin Social - great for reporting usage." We liked how easy it is to set up A/B tests for keywords and ad copy. I think this was super beneficial for optimizing a paid search account. Has good features like budget projection. Intuitive interface. Great tool to use for automating reports. Easy to create campaign rules to meet performance. It's easy to filter for exactly the metrics you care about seeing. I enjoy being able to compare campaigns and keywords from different engines side by side. Unable to create rules for soft KPI campaigns such as click-through rate, cost-per-click and others. I also do not like how you cannot see today's data/performance and have to wait until the next day. Layout is not always intuitive, customer service hours very limited. We are utilizing their parameter builder to mass-manage tracking for our internal analytics systems. "Overall a solid platform, but missing some handy features found with other vendors"
Marin provides one cohesive platform to manage all your ad accounts at once. The automated bidding and ease of cross-management produces a nice daily time saving. There can be a slow adoption of new features. For example Google Ads recently rolled out a new ad format and Marin currently doesn't support it within their platform. Ensuring the setup and implementation is correct can be difficult, but once you get over that hurdle you can quickly learn the platform. The support team has been very helpful when in difficult situations. Marin software makes it easier to management multiple tasks and account with less time or a smaller team. That it houses all of my campaigns, regardless of engine, in one place. I can easily see a quick snapshot of performance this way. There are many glitches with the software that you don't realize unti you are working in the platform frequently - for example you have to reupload the creative bulksheet with the term "landing page" instead of click through URL. This is just one of many examples. "Love the layout, hate the functionality"
We use Marin to marry our front end metrics in the respective engines to the revenue data collected from our clients. Marin (more often in theory than execution) allows us to easily make media buying decisions based on revenue goals. Thanks for the feedback! We’ve fixed a few longstanding issues with sitelinks. If you’re still experiencing difficulties, please reach out to your account team. "Great Platform and Managed Services"
We work with the managed service team who launch, monitor and optimize all of our campaigns. They have worked tirelessly to ensure that they deliver a high level of service and are available when we need them. We mainly use the Marin platform for adhoc reporting and it's simple enough to draw actionable incite from. There isn't a great deal to dislike as the majority of our work is handled by the managed services team. We were looking for an agency that could efficiently launch, manage and grow our brand. The benefits of using Marin and their managed services means that we can scale the campaigns at speed, whilst having the time to properly analyse performance. "All around necessary functions present"
Reporting functionality is great. Endless dimensions make it easy to slice for reporting and everyday management. Managing dimensions for upgraded URLs is by far the easiest compared to Kenshoo, DS or Adobe. Integration with Gemini is ahead compared to Kenshoo, DS and Adobe. load time is painful at times although workarounds (not ideal) do exist. UI functionality is slightly older than the competition. Bid management needs improvement although it does with every tool in the space. Need hand holding to effectively use it. Algorithms are a bit weak. Scheduling feature exists but cannot schedule all object elements for any given time of day or day or week. Weak scheduling feature compared to others in the space. Don't go for an out of the box sales pitch. Come with questions specific to your business and management needs and ask to see them live. Scale. We have many different websites that we need aggregated in reporting and management. All reports, object edits, etc. can be done in bulk in the same job. "Marin Creates Efficiencies and Helps Deliver SEM Results"
Bid Folders approach I like the automated bidding it saves time! Our team has integrated all of our AdWords and Bing Ads campaigns into Marin and it helps to streamline and manage multiple accounts from one location. I have been using for over 5 years and have seen significant improvements to workflow as a result. We have also received very strong support from our current sales rep and we have been pleased with the quality of service we've received. Service is important for an agency of our size, so to be able to get the time and investment from Marin has been exceptional for us. I will definitely continue to recommend Marin to any colleagues looking for a paid search management tool like Marin. Slower support when we first started we didn't get what we needed at first but it improved. The Web Interface is a little clunky and can sometimes be harder to navigate. It's not nearly as intuitive as AdWords, but with some training you will be able to find your way around the platform. I'd like to see a more aggressive pricing structure to lower the fees. Conversions tracking across multiple search engines. Bid folder technology to streamline bidding and optimization efforts on behalf of our clients. "Marin has taken our PPC program to the next level"
The UI is extremely intuitive, making it simple to find all the data we need. Set up is rather straight-forward and the account team is very helpful and responds quickly. What I like the most is that the software does address new features in search engines rather quickly so anything new we launch is likely to be tracked. Like any software, there are sometimes glitches that come and go - this doesn't occur often but when it does, it does halt progress. Definitely do a demo and see what they've got. Their account management team is amazing and I never feel like I'm left hanging or totally lost if anything goes wrong, or if there is a challenge I need to address. While not a 'problem', we were looking to take a already successful PPC program and boost our revenue/ROAS. Marin's automated bidding took things to a higher level then we had dreamed possible. Also, we needed one reliable tracking method for the entire PPC strategy, rather than piecing together reports from individual channels that didn't necessarily match up with Google Analytics (bc Analytics' attribution isn't wonderful and favor Organic). Also the automated and custom reporting feature (while expected with any conversion tracking software) is really easy to use. "User friendly for social management"
Regarding Marin social, it´s a practical tool for managing facebook paid ads when you have more than one facebook account for different countries. The bulk editing tool at the ad level is very useful and helps saving time when building many adsets at once. It´s good to be able to see many information at once in the main dashboard. The platform has constant improvements, which shows they are always trying to keep up with the Facebook changes and provide a better experience to the users, in addition their customer support is reachable whenever needed and they are very responsive and helpful with any question. Many sync problems with Facebook, the pivot table report needs improvements as not much can be done with it compared to a pivot table in excel. The platform takes a little longer than expected to uptade some informations and may crash sometimes specially when dealing with more than one page at once. The bulk editing doesn´t work with some features. It still has some issues to be solved, but they already have some useful tools that beat power editor from Facebook. Marin Social has helped us building campaigns more quickly and easily, saving us time. We have to constantly change our ads and the editing benefits from the platform helps with that. "Great, Robust Platform that Could Use Some Design Love"
I really like the amount of features that Marin offers! I feel like I find a new feature almost every month which is very exciting. The feature I find the most beneficial to my daily work is the quick snapshot it provides of how your SEM accounts are performing. I can tell within a second whether the day was successful or not and then make educated decisions on how to improve or continue the trend. The reporting is also quite robust as we have managed to merge our Attribution solution with Marin. We can now monitor our CPNs and efficiently adjust bids. Looking forward to trying out the automatic bidding! The UI could use some design notes and love! Overall, the UI looks a bit dated and doesn't make you feel like you are using a robust piece of software - even though you are! Great for those with large media budgets, multiple SEM accounts and who use attribution modeling. We were looking for a tool that was significantly more robust than Google/Bing Adwords managers that could provide us with advanced reporting and integrate with our Attribution software. Happy to say that Marin has solved these problems and saves us a boat load of time everyday. - No more pivot tables! "Good product, but not as great as it use to be"
Allows us to manage Bing, Yahoo and Google in one platform. Love the dimensions tool as it helps to easily roll up reports and monitor performance. Also the automated reporting definitely helps manage campaigns and catch things before they get out of control. Had an issue with Marin and Yahoo keywords becoming unsynced when changed the match type of a keyword, causing us to spend more money than we thought. Also, wish there was more capabilities to manage and report on audiences in Marin Software. Lastly, customer support hasn't been as good in recent years. Not sure if account managers are given more accounts or goals or what is causing the decline. Lastly, have tested the social platform and was not impressed, quit using it. Good for smaller companies, as has lower spend requirements compared to other competitors in the space. The intial training program is not the most helpful but the new help section does offer good support. Suggest using the chat feature or calling when having an urgent issue rather than filing a ticket, can have slower response times. Run efficient search and mobile campaigns in the US. Able to identify growth opportunities in how we offer products, keyword inventory we run based on search query reports and easily optimize ad copy. "Integral Part of of PPC Management"
The customer support and ongoing contact we have Marin is crucial to us using the platform effectively and for it to achieve maximum gains for our PPC accounts. Marin is on hand when we need them, and the extra support that the Centre of Excellence provide us is also crucial. The only thing I dislike about Marin is the physical GUI and appearance of the backend itself. It is functionally perfect and it's statistics are vital, but it certainly could be more WEB2.0. My recommendation is to utilise the contacts at Marin, speak to the account manager regularly and make a point of arranging calls with their Centre of Excellence Team. It may look complicated, it may be overwhelming, but it will improve the management of your PPC account, both reduction in manual time hours spent managing accounts and also the ROI. We have over 100,000 products synced with Google Merchant Centre and Bing Shopping. It is a task that is physically impossible to manage manually. The benefit of this is we achieve the maximum gains from our Shopping Campaigns which convert at a much higher ROAS than our standard ad campaigns. 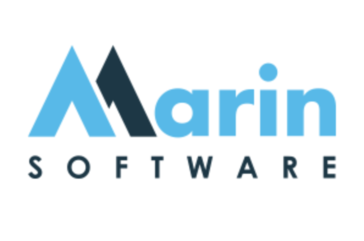 "A Powerful SEM Platform with Strong Customer Support"
I've used Marin in enterprise environments on a daily basis for the past 2 years. The ability to create, manage, edit, and report on campaigns across Google, Bing, and now Gemini in one platform greatly scales SEM management. Marin's ability to customize conversion events and attribute revenue is also integral to measuring performance. I've been especially impressed with the multi-touch attribution integration that Marin was able to custom build for us. Marin could work on supporting extensions better, for example, it doesn't support callout extensions and lacks library-level support for sitelinks in the UI. Bulk upload functionality exists, but I hope library-level support is on the roadmap because the engines have had it for a while now. Marin is a true enterprise solution meant to scale SEM programs. Consider seriously if your client is a mid to large-sized business with a developed SEM program. It might be too much out of the box for SMB's or clients with smaller SEM programs. The program that our team manages drives several million dollars in revenue per quarter. Marin makes bid management easy and I think that's a big part of our success. "Great platform for streamlining digital campaign optimizations and launches!" User friendly platform that helps to reduce manual time needed to launch and optimize campaigns, which allows us to concentrate more on improving and expanding our clients' strategies and results. Great customer service and ongoing training and insights. Ability to bring in multiple types of conversion data to fully understand performance. Very easy for non-experienced team members to be able to use and navigate the platform. Marin continues to improve their offerings, and should be considered while evaluating platforms. Efficiencies in managing and launching complex search engine marketing campaigns. The benefits have been tremendous- as we have been able to reduce the overall time that it would take if working directly within the engines. "Great customer service but does not adapt quickly to new features"
The ability to filter for rules and build reports to alert the team if something needs to be fixed. Active adgroups with no creatives, BMM keywords into Exact campaigns and vice versa. Also the availability of representatives when a chat is initiated. The inability to upload Bing sitelinks and adaptation timeline to new google features. We hope you'll be happy to know that we’ve built capabilities in MarinOne that allow you to automatically pull down new publisher formats. For more info, reach out to your account team for more info. "A proven ad management platform that has seen better days"
Marin makes creating new objects and getting them wrapped with tracking pain-free in the paid search channel. This applies to paid keywords, creatives, campaigns, adgroups and product groups for Shopping. This allows for any search advertiser to blitzscale their campaigns as new trends rise and old trends fall without having to worry about variable costs to building new objects besides identifying them through research and loading 'em up. Classification of different campaign components like adgroups and keywords is multi-dimensional and fully customizable. The reporting capability that's included in the service is pivotable and easy to work with in CSV format. Marin has worked with my agency as well to provide a custom datapassback which opens up further opportunities for analysis and insight generation in-house. The dashboard is fairly slow to load when it comes to viewing history and filtering off dimensions and archival dates. Sorting by date isn't an option, so I'm stuck with descending dates by default. Ad testing features are, while available, weak in that they are convoluted and difficult to get going because the nature of the campaign's tracking has to be changed. Bids are only updated once per day, incorporating revenue/lead models or position based models. Low traffic objects are "rolled up" into folders to achieve statistical significance, which is a good strategy. However, the features that execute on this strategy leave room for improvement. The mobile bid adjustment is flawed from my discussions with Marin representatives. Mobile data is not isolated out. In other words, data from other devices is co-mingled when it should not be. Though a low portion of traffic, tablet bid adjustment is not available. Audience, geo, demographic, and other targeting & bidding modifiers that platforms feature for are lacking on Marin. To be fair, this is a pretty big hurdle that I haven't seen many of the ad management tools with a practical solution. There is supposedly Marin One, which purportedly solves for different integration and advanced targeting solutions. Marin has great support but on a product that may have already seen it's best days. Ad tech and platforms are moving extremely fast in terms of development in functions, reach and ad formats. 3Ps will always be a step behind them by definition. Consider what you need most for your digital marketing needs and what would make sense with a vendor partner. We are solving a division of labor and scalability problem with Marin Software. Marin's bidding algorithm aligns with our agencies formula to maximize digital media performance towards conversion and revenue driven outcomes. By and large, Marin enables return-driven goals to be achieved in the long-run insomuch as bidding on ads is and will be a differentiator for performance. Sorry we’re not meeting your expectations, and thanks for the feedback. Marin’s able to push bids multiple times per day, and we've enhanced functionality with MarinOne. If you’re continuing to experience issues, reach out to your account team and we’ll look into it. Marin offers a level of management that I've not seen before with other bid management platforms. Its incredibly granular and the system actually makes bid adjustments at the keyword level, instead of assigning default values across entire campaigns or ad groups. The reporting isn't the nicest looking out there for end-clients. For internal reports and alerts, its incredibly robust though. Certainly an area where Marin falls short. However, the reporting feature isn't why you'd use this system. You can easily pair this with a dedicated reporting platform like Report Garden, and turn out INCREDIBLE end client reports, if thats what you need. This platform requires some learning to use effectively. It is more than worth it though. If you need to provide fancy end-client reporting though, I advise looking into a dedicated reporting system, as client facing reports is the ONLY area I have noticed that Marin is lacking. The system allows us to more easily optimize our client accounts for CPA metrics and drive costs down. We've seen a significant increase in performance for a number of accounts since migrating from our old bid management platform. "Good flexibility for clients of varying sizes"
Bidding goals are easy to define and assign, so far they are making logical decisions that helps free up a lot of time and work toward achieving client performance goals. Views/filters not always intuitive and/or need to be re-applied when navigating through accounts. E.g. filtering keywords to only show enabled terms might include enabled keywords within paused campaigns or ad groups. So depending on how you navigate, there can be some annoyances with getting only the data you want. I'm a freelance consultant, so time is a huge priority. Being able to quickly edit across channels, having a bidding system that doesn't require constant manual intervention, getting global views of accounts easily all saves time and allows me to focus more on strategic direction of accounts. The reporting and interface are user-friendly once given a walkthrough. You work with consistent staff so you know who to reach out to and not have to reach out to a general help or support email. Didn't feel like during the setup the staff was super communicative as they should have been and there were lags where things could have moved faster. Not totally seeing the value in the extra cost. I think if you can get the product setup and see a strong return in profitability it makes it worthwhile. Factoring in the additional cost of the tool would have to see significant improvements. Easier way to update and maintain both Bing & Google campaigns at the same time as well as track profitability. The ease of working on the platform and the flow of work is much simpler compared to Facebook actual console. Everytime we have a sale to launch we manually have to change each and every copy and the processing take a lot of time. It's an easy to use tool and make your work easier since it brings everything together at one place which helps to manage difficult task. Give it a try and you'll definitely be used to it in a good way. It has benefited the way we used to manage our social campaigns and easy work flow gives better returns. It gives various benefits creating a separate media plan for different purpose be it brand awareness or conversions and any other objective. "Overall a very positive product, but at times training materials come woefully short. " Alot of reporting options and more accurate spending data. Marin is a fast, and once you learn to use it, easy to use platform. Our only issue is the learning tools on the site come a bit short of where we would like them. UI can be a bit confusing for new users, training new users can be hard. In program training is woeful at best. Learning is limited to mostly to text and not to an audio visual medium. This can disengage trainees and cause alot of future questions. Please take steps to update the in product training tools. While it is wonderful that our company is offered monthly calls, and while some training exists there is simply not enough to implement new employees quickly and efficently. More accurate info and more reporting options than ad words. We’re aware that our UI is designed to solve some complex challenges for advertisers, but we’re always working hard to simplify workflows. For new users, we recommend starting your Marin training experience with our certification program. Our courses are designed to give you a hands-on approach to learning the platform in a simulated environment. You can find our certification courses at Marin University at https://support.marinsoftware.com/en-us/Marin_University. Additionally, Marin University offers you opportunities to watch recordings of our Marin Live webinars and in-depth training articles, complete with videos and interactive exercises. We hope you find these resources helpful! I find this much easier to use then Kenshoo, though I have had more time working in Marin so I may have gotten more used to it. I use it to combine Google and Bing search campaigns to make optimizations and gain insight on a larger scale. It saves SO much time, and is easy to use for those who are not super famliar. "Almost there, but way too many nuances"
I like that there are customizable features like creating custom columns, custom dimensions, and the ability to bulk upload across multiple account. I strongly dislike the lack of sitelink management capability, the inability to pull all active creatives/keywords in active campaigns and groups, and how the help chats are usually completely unhelpful. I also wish this platform was more intuitive. it would be great if there was an offline feature for when there is no internet connection. We had lots of issues with ad copy not going live when it was enw due to errors we were never informed of in the activity log. Not to mention the capabilities with Gemini are subpar. This is a pretty good platform if you don't have a mega huge client with huge eCommerce business. Errors can and will occur and it's not alway intuitive how to resolve the errors in time for you to catch them. really rally your partners (whether clients or internal) to jump in and start digging through it themselves - really helps to engage them. With the reporting functions so much cleaner, I'm finally getting marketing managers who need PPC data to go in and explore on their own. That is a major win for my team. The socialmoov ads creation tool is excellent! The targeting options are all-encompassing and the team is very responsive and helpful! So far there is nothing that I dislike, whenever issues come up the team is quick to help solve them for us. The team is very helpful and works quickly to address any problems or concerns. We've worked closely with the team to improve the platform to fit our everyday needs and work best for our company. Well worth the money, saves us time and is very user-friendly. We are happy with this product and find that it is much more efficient than just simply using power editor alone, which can be a nightmare. I recommend that you voice any concerns because they will do what they can to make it work for you! We are creating faster, better ads than we could through Power Editor on Facebook. We are reaching better qualified prospects and achieving better results with ease! "Marin gets me 90% there"
chat support, nice account reps, visibility into bidding, and control over bidding. Slow to get support for new features. Wish there were more reporting views within interface. Definitely test it. Hard to understand features until you have to use them for management purposes. Helping to streamline reporting (not 100% there though), automated bidding on a large scale. Hopefully we can fix that 10%! MarinOne helps advertisers innovate faster and has reporting enhancements we recommend checking out. To learn more, get in touch with your Marin account rep.
"Good, but can be Better"
Flexibility in managing different publishers at one place. Infact checking change history is a problem as the change history can be viewed only under admin option and not at campaign level. If campaign level column/filtering is possible at admin level instead of only description it'd be of great help. As some organizations don't prefer sharing their Omniture access due to privacy issues, this tool solves the problem by pulling the required data. "Great time saving benefits for managing cross publisher accounts"
Having visibility of key PPC metrics and conversion data for multiple platforms is the key benefit for me. This allows the team to quickly and easily highlight any areas requiring attention. Bulk editing is another benefit and the ability to edit straight from a report and upload changes saves a lot of time. Interface is very dated and some things are difficult to find. You cannot currently segment by device as you can in Google Adwords and Bing ads which is frustrating and when in Devices tab, you cannot compare stats against prior / custom period - the view builder does not provide this option as it does in standard views. Intraday bidding is a feature we have been waiting for but this keeps getting pushed back - we do not feel that checking / changing bids once a day is sufficient. Main benefits include the single interface for cross channel / publisher accounts; bulk edits; conversions by device; ability to upload offline data; report builder; bid overrides; bid to position options. "PPC made simple - Marin includes metrics I can't even find in AdWords"
I like how user-friendly and customizable it is. I've used APIs in the past that lack thorough metrics or make it necessary to pull some data from system X, some from Y, some from Z. Everything I need is in Marin and pulling the right levers is really, really easy. Very seamless. I feel like the Dimensions and Bidding tabs could use some tweaking, but only minor tweaks. These are also admittedly two areas that I'm still getting to know in the system, so it could be me just learning them a bit more slowly than other areas in the system. If you're on the fence because it seems costly, consider that you get what you pay for. Their system is easy to use and the support and resources they make available to users is very comprehensive and useful. I'm easily able to modify columns and date ranges, thus pulling highly-specific, impactful data is very simple. I like how simple the bulk upload tool is as well. For someone who hates AdWords editor, your bulk upload tool is a dream. I also like the marin tracking codes that allow us to track different variables (new customer, new product, returning customer, etc). I use Marin on a daily basis! It's easy to schedule ad copy changes and I find the dimensions really helpful. The help articles are great too and I've used their live chat system several times if I can't find the answer in the articles. At times, Marin can be extremely slow when loading what I need in the UI or when I'm running a report. Also, there are some glitches were I've scheduled ad copy to pause/run and it hasn't worked. I wish the headings when uploading keywords, ad copy etc. exactly matched what's in AdWords Editor or Bing as well. I would choose Marin if you can't use DoubleClick for some reason. Both have similar features, but I find DoubleClick easier to use. Marin however does let you implement DCM tracking so you could use a combination. The dimensions helped us label different pieces of ad copy so we could quickly make changes for Black Friday and Cyber Monday promotions. We also used ad scheduling to ensure the right copy paused and enabled. The bid rules also helped us ensure that our top priority keywords remained in position 1 during our holiday promos. It's great that we can view all platforms in one central location, and even better that we can "draft" changes before pushing them out to go live. Having the ability to review your changes is absolutely necessary. I wish the filtering abilities were a bit more robust, in terms of being able to drill down and isolate certain ad groups or keywords in a quick and efficient manner. For example, for Search, if I'm at the campaign level and decide I want to drill down to the ad group level, all the filters reset. I'd like the ability to keep those filters enabled if I want. Additionally, the ability to add more than one filter per column. I run search advertising for my accounts, helping to drive traffic to their website and grow their business. In terms of benefits, working with a central management platform unlocks certain efficiencies that allow me to focus on deeper problems. There are obvious challenges to working on larger accounts, but Marin has been a very useful tool in centralizing my workflow. Perhaps the most important benefit is the ability to quickly and efficiently analyze large amounts of data. "Few smart features, with room for improvement"
The rule based optimisation and post promotion strategies. The ability to create the campaigns/ad sets/ads in bulk both on Facebook and Twitter. The overall media plan - campaign - ad set - ad structure for Facebook, with some features moved from ad set level to campaign level. This limits the ability to leverage Facebook algorythm and ad scheduling functuionalities that are available directrly within FB UI. The audience build/update work flow - more lenghty and less usefriendly. Adequate DR tool for Facebook and Twitter. Would expect it to improve further in the next few months for management of Branding cmapaigns. Creates additional efficiencies within the team through using rules and bulk creation/amendment features. "Easy to use with tons of amazing benefits! " It's great to have everything in one place without having to go back and forth from different platforms. They have a wonderful customer service team that is always very easy to get a hold of and answers any question proficiently. I feel like since our accounts have been running through Marin they have continued to perform better and give us the tools to grow our campaigns. I dislike how some of the features don't work. For instance - I set the budget in Admin>Budget on the Pro platform and had no understanding that it didn't do anything so. That was a hard $10,000 lesson. It is a good product that can be very beneficial to your SEM strategy. Be sure to go through all of the training and talk to your account rep often as they can provide a lot of insight into the efficiency of your campaigns. We are targeting a unique demographic with high value CPC and long term conversions. Marin has helped us target our bidding of the keywords to get a better return. "Clear, Concise Reporting & Usability"
The time lag for certain processes and reporting downloads is the biggest sore spot. If reports are downloading data sets longer than 6 months it can take hours to download. Most often this issue is seen for creative downloads. On a similar note, there has also been issues with scheduled actions not adhering for unknown reasons. Business problems include quickly implementing frequent promotional ad copy, sharing client reporting, ability to look at data at a portfolio level through all client portal and easy bid changes on the keyword level. Benefits include have all portfolio clients in one space to quickly identify where and how to optimize accordingly. "Robust Platform. Great Customer Support!" The biggest thing that stands out to me is their customer service. This is something I have had issues with when using competitors. Of course, the platform has the majority of what we need and we couldnt grow without it. The customer services has been the biggest benefit for a company that needs to pivot and improve the platform quickly. The lack of some reports like time of day?ad scheduling. also, it would be great if it was real time bidding and not just once per day. Continuing to fill gaps like time of day/hour of day. The biggest issue we had for our B2B company was connecting our campaign/keyword/ad group data back to down funnel metrics. Their ability to do this with marin id's and salesforce integrations has been instrumental. Thanks so much for your review! Marin’s able to push bids multiple times per day. If you’re experiencing issues with this functionality, please reach out to your account team. "Marin Software User for 2 Years"
There was a lot to like about Marin. Some examples would include the interface and ease of use. I was able to use multiple accounts and sync them in together to pull my data. The only thing I disliked was the loading and wait time for the reports to populate. Sometime it took a while for them to populate and load before downloading. A lot of times it took upwards of 25 minutes for each report to finish, then we still had to download the report, which took some time as well. Also, I did receive some errors while trying to create reports. It helped our agency manage one of our biggest clients easily by pulling in data across different platforms into one dashboard. We utilized Google Awords and Bing Ads all in one. That was very beneficial to us and a time saver to say the least. Plus the conversion tracking was great. It let use track multiple conversion in one interface. "Good Platform That Is Very User Friendly"
The platform is very user friendly. It takes a few minutes to work your way around but everything is pretty intuitive. The customer service/support and help section are very helpful and makes using the tool easy. The URL builder is easy to use and it is easy and straight forward to perform bulk operations. The automated bidding folders are great too. The automated bidding folders based on performance aren't always the best. It seems to be a hit or miss depending on the account you are running. Google Shopping isn't the best on Marin. Other platforms have better capabilities/features. We are working on being as efficient as possible. The marin pixel is great to help segment out by conversion type and make sure we are focusing on optimizing towards the proper goals. Marin helps to make it easy to manage multiple accounts at once and to make sure we are efficient. We have bi-weekly calls with our Marin rep who updates us and helps us resolve any current issues. They are always willing to help and responds to requests in a timely manner. Our team saves so much time with Marin's bidding rules and cross channel view-ability. Our reps also make an effort to come to our office in person whenever they can. It is really nice to have a face to a name and get in-person updates. We had a huge issues with the URL update earlier in 2016. Almost all accounts had issues or incorrect updates. A high monthly fee. Convincing client's the importance of Marin because of the high fee. We have had a few issues with invoices being incorrect, but they were easily resolved once brought to our reps attention. Simplifying workflow across multiple search engines. Making text ad, bidding rules, and keyword changes in one platform is extremely helpful. "Marin is extremely helpful in analyzing the trends of my pay-per-click advertising campaigns." Marin is very user friendly, which makes it my go to when I need to pull any kind of information for any of my accounts. Also, it gives me the ability to find any and all information I should need: revenue, cost, cost per click, conversions, cost per conversion, etc. The amount of data and information seems never-ending, and it's been insightful in my attempts to grow my accounts. I honestly can't think of anything that I would recommend changing at this time. I use Marin most to analyze my day over day, week over week, and month over month data for all of my accounts. If there are any significant changes in conversions, impressions, cost, revenue, etc., I am able to look at specific campaigns and compare them to each other and to themselves in an effort to determine what caused the change (good or bad). Marin helps to ensure that I am maximizing my ad spend for the best return on investment. "I use Marin for certian things, but not everything"
I personally like the easy to use interface, bidding rules, sync set up and interestingly enough, bulk operations. Of all the platforms I use, Marin makes it easy to manage a large amount of ads with quick report bulls and easy appends. I don't like the cluttered interface, as it makes it hard to find certain things. I also don't like how you have to manually sync things, as new campaigns can sometimes be missed. It also does not go well with Bing. Sometimes data is slow to update, which also hinders client reporting, but data is usually resolved within 24 hours. Ensure any conversion/data partnerships feed into Marin. Bid optimization at a large scale and trying to reach a very tight ROI/ROAS goal. While some of the bidding updates have helped, many also limit the scale of campaigns. I would just consider Marin, but be aware of the personal touch that is still needed. Additionally, the team is supportive with new conversion types, partners (including Omniture) and we've seen strong success (and time savings) scaling to Marin Social and housing all Biddable activity in one place. "Great tool that is built with users in mind"
The ability to manipulate the views allows us to see multiple angles within our accounts, helping us to determine strong & well-founded strategies to help drive efficient traffic. Automated bid rules allow for additional 'levers and buttons' to push in campaign optimization. Uploads are easily done, and when there is an error, it is often clear as to what the issue is making it easy to make corrections. The ad scheduling piece is also helpful, and very easy to use. Marin is constantly updating their platform, allowing advertisers to keep up with changing trends and manage their campaigns effectively. When adjusting filters within the tool, for example on the keyword or campaign tab, it would be helpful to make all changes at once; rather than one at a time with sometimes longer wait times in between. Issues with scheduling occasionally arise, making it hard to launch creatives as intended. Utilize the dimensions options to help with reporting. They allow easy tagging and organization of given initiatives and accounts, and allow for easy filtering to see the desired data. We work towards driving both conversions and revenue at a strong return within a retail client through strong ad copy and bidding strategies. The ability to create dimensions and multiple views within the tool have helped tremendously. The integration with ETAs have helped as well. The user interface is intuitive and clearly presents all the metrics that matter. The Marin system works 24/7 for us and is constantly testing and adjusting keyword bids to ensure we're achieving a healthy ROI. The system meets our needs and it is difficult to say I dislike anything about it. The Google to Bing sync feature in Marin is a little glitchy, but other than that the system works fine for us. By using Marin we're ensuring that we do not burn through our search advertising budget, manual bidding can only take you so far and automated rules/bid strategies in Google work in some scenarios, but not all. * We monitor all Marin Software reviews to prevent fraudulent reviews and keep review quality high. We do not post reviews by company employees or direct competitors. Validated reviews require the user to submit a screenshot of the product containing their user ID, in order to verify a user is an actual user of the product. Hi there! Are you looking to implement a solution like Marin Software?